I know I've talked about my struggle with trying to stay healthy and shed some pounds. One of the ways that I've been able to keep going is by buying items that substitute other food products. One of the things I've learned to substitute is sugar. I've been using sweetners for the last five months and have not bought any sugar. Although we still have some sugar left in my pantry I haven't had the urge to use it in months and I got to tell you, I love it. So when I had the opportunity to try Pure Via Sweetner I was super excited because it's just now arriving out here for us folks in Canada. Pure Via is a naturally sourced alternative to sugar and artificial sweeteners made from the pure extract of the stevia plant. As a replacement for sugar Pure Via can be used in beverages, cooking and baking, Pure Via can help to reduce overall calories consumed without sacrificing great taste. 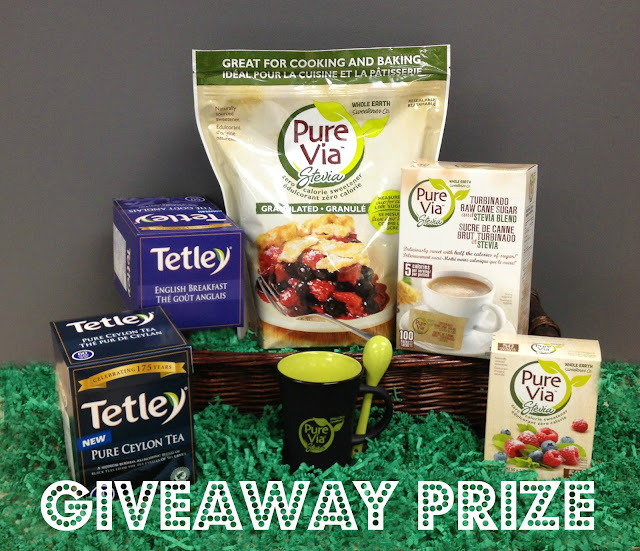 I was sent Pure Via granulated and both the 50 and 100 packets of Pure Via, which came in so much use. The 50 packets, just like the Pure Via Granulated has zero calories, something that I just love. The Pure Via 100 packets has 5 calories per packet since it's mixed with both Turbinado Raw Cane Sugar and Stevia blend. The packets made it easier for me to use not only for my morning coffee, but for my morning breakfast when I was eating oatmeal, I also used a packet over my morning grapefruit as well. There are so many different ways the packets can be of use, especially on the go. I'll definitely be looking out for these in stores for our Summer camping trip this year. Now, I was looking for a great way to use the Pure Via Granulated and since it's been warm out, I didn't want to bake anything inside, so instead I decided to make a frozen treat for my kiddos for after school. 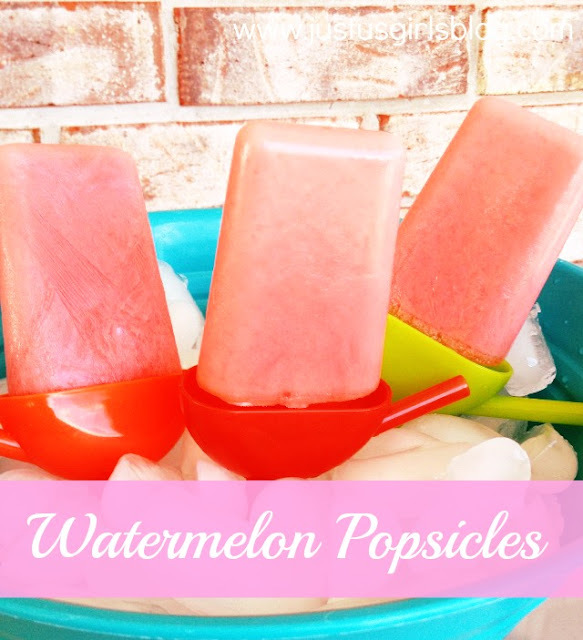 I was browsing Pinterest and found a delicious Watermelon frozen yogurt pops and thought they sounded absolutely delicious and refreshing and believe me, they were! Puree watermelon in blender or food processor. Strain with a fine mesh sieve into a bowl. Add strained watermelon juice back into the blender and go ahead and add yogurt next. Blend well. Add sweetener to taste. I used about 1/4 cup of Pure Via and it was perfect. Pour in your Popsicle trays. Freeze for 6-8 hours. Once frozen use warm water to loosen up the popsicles and pop out and enjoy!